It seems there are two schools of thought when it comes to teaching students to round numbers. When you search "rounding anchor charts" on Pinterest, a whole slew of cute little rhymes about "going next door" to the neighboring number appear. 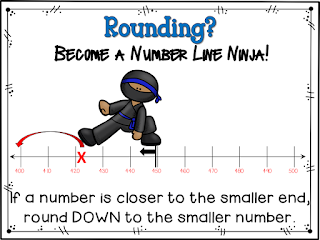 You can also find a plethora of images with a rounding roller coaster (which is what I used to teach rounding to my second graders long ago during my first two years of teaching). 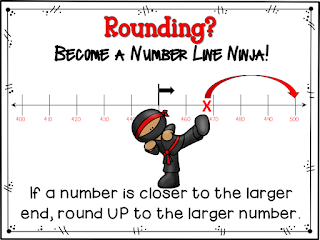 Therefore, when I decided to create a Rounding PowerPoint last week, I used number lines. However, in an effort to make things just a bit more engaging, I added ninjas! These two posters (which can be downloaded by clicking on the images) and the anchor chart show the basic premise. Clip art by Educlips. Border by Kelly Benefield. 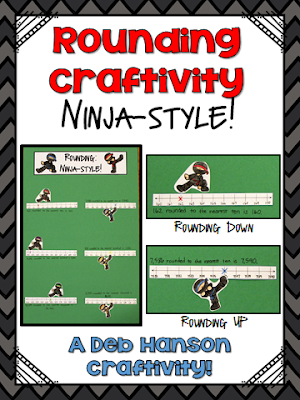 If you are interested in possibly using this approach to teach rounding this year, feel free to check out my rounding ninja resources. All of these rounding activities address rounding 2-, 3-, 4-, and 5-digit numbers to the nearest ten, hundred, and thousand... and the task cards are FREE! Rounding can definitely be challenging for some students. 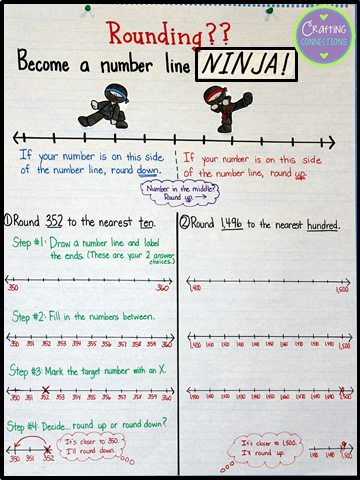 I love the concept of teaching this through a number line. The ninjas are the perfect addition. Thank you! 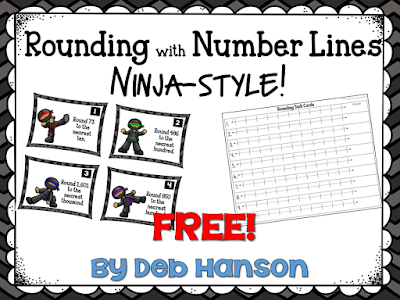 I discovered using a number line to round after attending a Singapore Math training. Game changer! I feel like their number sense has been kicked up and they truly understand why a number rounds to a larger or smaller number. They aren't just memorizing my rhymes! 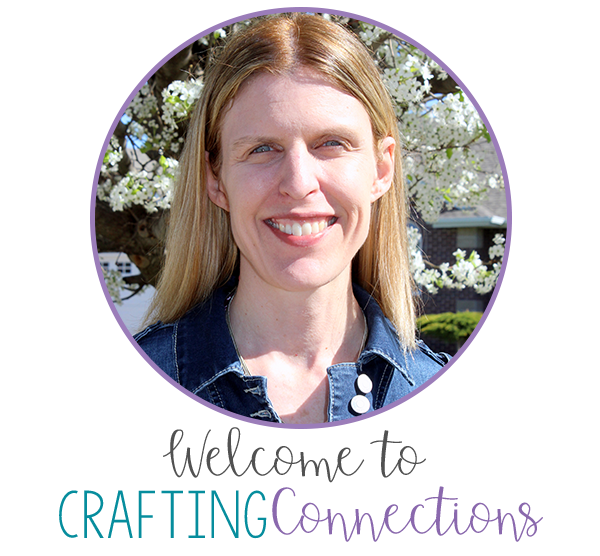 I love "meeting" people who have made this connection!